In 1979, there was a partial meltdown at a nuclear plant on Three Mile Island, in Dauphin County, Pennsylvania. I was a young newspaper editor at the time, and I was caught up in coverage of the resulting debate about whether nuclear power could ever be safe. I have long forgotten the details of that episode, except for one troubling thought that occurred to me in the middle of it: The experts we relied on to tell us whether a given design was safe, or indeed whether nuclear power generally was safe, were people with advanced degrees in nuclear engineering and experience running nuclear plants. That is, we were relying on people who made their living from nuclear power to tell us if nuclear power was safe. If they started saying out loud that anything about the nuclear enterprise was iffy, they risked putting themselves out of business. It was the year 2000 and Maine’s governor at the time, Angus King, was excited about the Internet. The World Wide Web was still relatively young but King wanted every student in the state to have access to it. Fast-forward a couple of years and that dream became a reality. Maine became the first, and still only, state to offer a statewide laptop program to certain grade levels. Her American politics class is totally paperless. Alison’s teacher, James Welsch, says when he arrived in Gorham seven years ago, he’d never seen so many computers in one classroom. Welsch says it turned the class into an interactive discussion, “It’s like, we can put the world on the desk of each kid.” His students write blog posts, read each other’s work, and share videos and articles — all online. The Use of Big Data Analytics by the IRS: Efficient Solutions or the End of Privacy as We Know It? This Article examines the privacy issues resulting from the IRS’s big data analytics program as well as the potential violations of federal law. Although historically, the IRS chose tax returns to audit based on internal mathematical mistakes or mismatches with third party reports (such as W-2s), the IRS is now engaging in data mining of public and commercial data pools (including social media) and creating highly detailed profiles of taxpayers upon which to run data analytics. This Article argues that current IRS practices, mostly unknown to the general public are violating fair information practices. This lack of transparency and accountability not only violates federal law regarding the government’s data collection activities and use of predictive algorithms, but may also result in discrimination. One day last fall, a month before Donald Trump was elected president, Lassana Magassa disappeared from his job with Delta Airlines at Seattle-Tacoma International Airport. Employees are fired or quit all the time, but Magassa, who is Black and Muslim, had given no indication he was ready to leave and, according to his colleagues, was a perfectly capable ramp agent. So without any word from supervisors or Magassa himself, all that was left to do was speculate. As it turned out, the rank-and-file Delta employees were not the only ones in the dark. A directive to deny him access to the secure areas where he’d worked for over a year had been passed down to the Port of Seattle, Sea-Tac’s operator, from the Transportation Security Administration. And the explanation — to Delta supervisors, to Port of Seattle employees and to Magassa — was thin. “TSA does not provide any further information to the airport operator (Port of Seattle),” concludes the note. Magassa, for all intents and purposes, had been fired. For Magassa, 36, it was the most puzzling piece in a series of perplexing interactions with federal law enforcement. A year earlier an FBI agent had started efforts to recruit him as an informant. And hours before losing his airport badge, he’d learned that he no longer qualified for U.S. Customs and Border Protection’s global entry program, which expedites security for low-risk travelers. It’s easy to see what Ingersoll means. NCES produces its survey every four years. Almost all public school staffing took a hit during the 2012 survey, as districts laid off thousands during the recession. Hiring was bound to return to normal levels afterwards. If we go back to 2008 we get a clear picture of the growth of America’s public school workforce. While, student enrollment in 2015-16 was virtually identical to what it was in 2007-08 — almost 49.3 million students — the number of employees in 2016 was substantially higher. The population of teachers grew from 3.4 million to more than 3.8 million — an increase of 12.4 percent. But teachers comprise only half of the public school labor force. Over the past eight years, the numbers of administrators, bureaucrats, specialists and infrastructure support employees have also ballooned. The ranks of vice principals and assistant principals grew by 8.3 percent. Instructional coordinators and curriculum specialists increased by 10.5 percent, and there was between 5 and 12 percent growth in the number of nurses, psychologists, speech therapists, and special education aides. Again, this larger group of employees is responsible for the same number of students as were enrolled in 2008. Related: NCTQ “Questions Teacher Shortage Narrative, Release Facts to Set the Record Straight”. Our nation has open teaching positions that need to be filled by trained teachers. This is not a new national crisis but rather one America has been living with for years due to our unwillingness to adopt more strategic pay approaches. With rare exceptions, states have also shown no interest in limiting the number of teacher candidates their institutions can accept in some teaching fields to bring down the numbers nor in encouraging candidates to consider other teaching areas in shorter supply. Teacher shortages are largely a product of local conditions, requiring local solutions. For example, until the state of Oklahoma pays its teachers more, it will struggle to fill positions, but solving its problem does not require us to raise teacher pay everywhere. Detroit suffers because its schools are so challenging. No solution will solve its problem until we address these local environments. The teaching field does not need solutions that set us back, like lowering teacher standards, hiring long-term substitutes and handing out emergency teacher certifications. There has been a mad rush by states to adopt these sorts of solutions. Instead, to fully understand the nature of teacher supply and demand trends, it is incumbent upon the nation, states, and school districts to collect better data and put these data into an historical context. States and districts should be able to identify the number of new teachers trained in each subject, how many graduate and do not end up teaching (because we know that nationwide, 50 percent of candidates do not end up in teaching jobs), where candidates apply for jobs, how many vacancies are open in each subject, and where these vacancies are located. In the absence of strong data systems that can pinpoint the broken points along the teacher pipeline, states and districts will continue to look for band-aids without resolving the underlying problems and the very real shortages which are not new but have gone on now for decades. NCTQ Questions Teacher Shortage Narrative, Release Facts to Set the Record Straight. To understand how humble, cheap inventions have shaped today’s world, picture a Bible — specifically, a Gutenberg Bible from the 1450s. The dense black Latin script, packed into twin blocks, makes every page a thing of beauty to rival the calligraphy of the monks. Except, of course, these pages were printed using the revolutionary movable type printing press. Gutenberg developed durable metal type that could be fixed firmly to print hundreds of copies of a page, then reused to print something entirely different. The Gutenberg press is almost universally considered to be one of humanity’s defining inventions. It gave us the Reformation, the spread of science, and mass culture from the novel to the newspaper. But it would have been a Rachael — an isolated technological miracle, admirable for its ingenuity but leaving barely a ripple on the wider world — had it not been for a cheap and humble invention that is far more easily and often overlooked: paper. The printing press didn’t require paper for technical reasons, but for economic ones. Gutenberg also printed a few copies of his Bible on parchment, the animal-skin product that had long served the needs of European scribes. But parchment was expensive — 250 sheep were required for a single book. When hardly anyone could read or write, that had not much mattered. Paper had been invented 1,500 years earlier in China and long used in the Arabic world, where literacy was common. Yet it had taken centuries to spread to Christian Europe, because illiterate Europe no more needed a cheap writing surface than it needed a cheap metal to make crowns and sceptres. “This is a really terrible time to be a free speech advocate,” said Jillian York, director for international freedom of expression at the Electronic Frontier Foundation. “It’s a ‘First they came for the … situation,” she said, referring to the famous Martin Niemöller poem about the classes of people targeted by Nazis, “only in reverse”. Though these are dark days for American exceptionalism, the US remains distinct in its commitment to freedom of speech. Even as many Americans increasingly favor European-style limitations on hate speech, the constitution’s first amendment ensures that any such legislative effort is likely a non-starter. But the fate of the Daily Stormer – as vile a publication as it is – may be a warning to Americans that the first amendment is increasingly irrelevant. Does choosing C++14 over C++11 mean the resulting game is more fun? Does using a stricter type system mean the game is more fun? Does using a more modern programming language mean the game is more fun? Does favoring composition over inheritance mean the game is more fun? As another school year begins, Americans believe private schools provide students with the best K-12 education of five different types of schools in the U.S. The 71% who rate the quality of private school education as excellent or good exceeds the ratings for parochial, charter, home and public schooling, in that order. Does the First Amendment need a rewrite in the era of Donald Trump? Should the rise of white supremacist and neo-Nazi groups lead us to cut back the protection afforded to speech that expresses hatred and advocates violence, or otherwise undermines equality? If free speech exacerbates inequality, why doesn’t equality, also protected by the Constitution, take precedence? After the tragic violence at a white supremacist rally in Charlottesville, Virginia, on August 12, these questions take on renewed urgency. Many have asked in particular why the ACLU, of which I am national legal director, represented Jason Kessler, the organizer of the rally, in challenging Charlottesville’s last-minute effort to revoke his permit. The city proposed to move his rally a mile from its originally approved site—Emancipation Park, the location of the Robert E. Lee monument whose removal Kessler sought to protest—but offered no reason why the protest would be any easier to manage a mile away. As ACLU offices across the country have done for thousands of marchers for almost a century, the ACLU of Virginia gave Kessler legal help to preserve his permit. Should the fatal violence that followed prompt recalibration of the scope of free speech? Raising little ones is hard these days, particularly because — even by ages five and six — kids on the playground are educating them about topics I didn’t even know much about until I was a preteen. Consequently, my wife and I began talking to the girls about sexuality in age-appropriate ways last year. It’s a sensitive area, but we wanted to go ahead and introduce our values to them early on, before a kid at school did and potentially caused confusion. In that spirit, last weekend I decided to talk to the girls about the topic of people who identify as transgendered. Shortly after starting the conversation, however, I learned that [their teacher] had already talked to [our daughter] and her classmates about it. This involved her reading a book called “I Am Jazz” and conducting a classroom discussion on the topic. First of all, let me say this: [my wife] and I think a lot of [the teacher]. She has been an excellent teacher and [our daughter] has seen great progress in her class. Furthermore, she has made a point to encourage us and compliment [our daughter’s] progress anytime she sees us. She’s a good and professional teacher, and I suppose that’s part of the reason we were so disappointed. We wouldn’t have expected it from her. And even though I’m sure she meant well, those good intentions don’t make [our daughter’s] experience any more appropriate, especially because I had already let the school know my wishes about any such discussion with the students. Overall, Walker proposed $11.5 billion for schools, including the $649 million increase. A spokesman for budget committee co-chairwoman Sen. Alberta Darling, R-River Hills, said the Joint Finance Committee reduced the increase to $639 million because of reductions to funding proposed by Walker for rural school districts and for schools in the Milwaukee School District that meet academic achievement goals. Walker in a statement thanked the committee for its actions after the package was approved 12-4, with all Republicans voting for and all Democrats voting against. One measure would allow people to take online classes to earn teacher certification in high-need subjects like technology, math, engineering and science. Another would offer loans for people seeking additional education and training to become principals or other education administrators. Lawmakers also approved a measure proposed in Walker’s budget to eliminate expiration dates for teachers’ licenses following a three-year provisional period. It also offers resources for school districts that elect to consolidate or share some services. Districts that completely consolidate would be eligible for aid equal to $150 per student for five years after the consolidation, gradually tapering off in the following years. Districts that choose to share a grade could receive $150 per student enrolled in that grade for four years, which would taper off in the fifth year. The package also sets aside $2 million for a pilot program to provide aid to districts that share some administrative services. Also under the plan, districts could only hold referendums during already-scheduled election days or on the second Tuesday of November in odd-numbered years, with allowances made for special circumstances, such as increased costs resulting from a natural disaster. Locally, Madison has long tolerated disastrous reading results, despite spending nearly $20,000 per student. Thirty-four criminal cases will be thrown out as authorities investigate three Baltimore police officers accused of planting evidence at crime scenes, officials announced Friday night. Approximately 123 cases are under review after body camera footage appeared to show an officer planting illicit drugs at a crime scene in January, said Marilyn Mosby, Baltimore’s state’s attorney. Mosby said her office has dismissed or will dismiss cases that soley relied on the officers’ credibility. “Where these officers are material and necessary witnesses, we are dismissing those cases, which rely exclusively on the credibility of these officers,” she said. “As I have stated before, it is incumbent upon us as prosecutors to be the ministers of justice and to do what’s right in the pursuit of justice, over convictions, while simultaneously prioritizing public safety,” she said. Social management describes a “scientific” Leninist machinery for shaping, managing, and responding. It is best summarized as a complex systems management process through which the Party leadership attempts to manage the Party itself, and through which Party leadership attempts to manage the Party’s interactions with society as a whole. Social management is aimed at ensuring China’s “holistic” or “comprehensive” state security (国家安全). This holistic state security concept is not fundamentally new under Xi Jinping. It includes the western “national security” concept, but, more significantly, is focused on two internal security dimensions. First, managing the Party itself, and second is managing social order (Xinhua, April 15, 2014; Qiushi, April 15, 2017; PLA Daily [archive], December 13, 2000). With tuition bills arriving as the fall semester starts, students and parents might notice a line with a pretty big number next to it: student fees. During their college search, many prospective students tend to pay attention to tuition. But in the last decade, fees have started to make up a larger share of the overall bill, particularly at public campuses. Since 2000, student fees have actually grown faster than tuition in percentage terms. Fees rose 95 percent at public four-year colleges (and 61 percent at private colleges), according to a study by Robert Kelchen, an assistant professor of higher education at Seton Hall University. Because the sticker price is often much lower at a public college than a private institution, the hike in student fees hasn’t gone unnoticed. Those include technology fees, library fees, and athletics fees. Nearly half of all subsidies public universities provide to athletics programs come from student fees. Public colleges like using fees when they need to raise overall prices because they typically get to keep the revenue generated from fees, unlike tuition dollars which are sometimes funneled through state coffers. What’s more, students usually get to vote on new fees or fee increases. Many of these measures easily pass because the students who vote mostly have graduated by the time the fees are in place. As Kelchen noted in his study, fees are a popular way to pay for amenities, such as recreation centers and student unions, needed to keep up with competitors. This arms race on so-called consumption amenities—so named because have no lasting value for students—helps attract relatively low-achieving, high-income applicants who do not receive large financial-aid packages, according to researchers, but raises the cost for everyone else, especially low-income students struggling to pay bills. We characterize intergenerational income mobility at each college in the United States using data for over 30 million college students from 1999-2013. We document four results. First, access to colleges varies greatly by parent income. For example, children whose parents are in the top 1% of the income distribution are 77 times more likely to attend an Ivy League college than those whose parents are in the bottom income quintile. Second, children from low-and high-income families have similar earnings outcomes conditional on the college they attend, indicating that low-income students are not mismatched at selective colleges. Third, rates of upward mobility – the fraction of students who come from families in the bottom income quintile and reach the top quintile – diﬀer substantially across colleges because low-income access varies signiﬁcantly across colleges with similar earnings outcomes. Rates of bottom-to-top quintile mobility are highest at certain mid-tier public universities, such as the City University of New York and California State colleges. Rates of upper-tail (bottom quintile to top 1%) mobility are highest at elite colleges, such as Ivy League universities. Fourth, the fraction of students from low-income families did not change substantially between 2000-2011 at elite private colleges, but fell sharply at colleges with the highest rates of bottom-to-top-quintile mobility. Although our descriptive analysis does not identify colleges’ causal eﬀects on students’ outcomes, the publicly available statistics constructed here highlight colleges that deserve further study as potential engines of upward mobility. The nationwide forces that are beginning to uproot football have converged at a place called High School North. Ten days before the start of classes, and nearing the end of a weeklong course meant to prepare them for the fall semester, the members of Team Orange walked one by one to the front of a classroom at Madison Area Technical College and told their peers how ready they were for their freshman year. The class included 17 of the 210 new MATC students who make up the first cohort of the school’s Scholars of Promise program, which provides scholarships and support services to help low-income students both afford and succeed in higher education. That’s the sort of confidence MATC officials want the Scholars of Promise to have as they start classes on Monday. What traits do we want our children to possess as they grow up? In the last year we’ve heard so much about “how to talk to kids” about current events, though much of it has consisted of projecting our own fears about what’s going on in the world onto our heretofore blissfully innocent children. Much less focus is on providing our kids the tools to grow up to be the kind of people who can maintain composure and perseverance in the face of a changing society. The basic question comes down to this: Do we want our children to “be happy” — that nebulous expression of doting — or do we want them to be resilient in the face of an anxiety-inducing world? A Pew Research Center study from 2014 found that the trait the majority of American parents, 54 percent, wanted their kids to possess is “responsibility.” Second was hard work, followed by helping others and being well-mannered. Resilience isn’t mentioned — but then, 2014 already seems like a different era from now. Those are all good traits to instill in your children. All parents want their kids to be happy, of course. All parents would prefer their kid be smart, motivated, kind. But what we’re missing in raising our children are the traits of perseverance. We aren’t focusing on making our kids well-adjusted individuals equipped to handle the problems that come their way. There’s a lot of innovation going on in China these days, but perhaps not all of it is good. Chinese fertility centers are going well beyond American practices, using genetic diagnosis to influence how children conceived through in vitro fertilization will turn out. On one hand, the potential for improving human health is enormous. On the other hand, I am uneasy at the prospect of the power this gives parents. I don’t trust people to take so much control over the future of human nature. Sometimes you hear it argued that the complex nature of genes will prevent major feats of genetic engineering. That may be selling short future advances in Big Data and biomedicine, but even minor changes in genetic diagnosis and selection could have significant effects. Maybe you can’t choose to have a child who will be happy, but you might be able to lower the chance of your kid having depression or social anxiety by some small amount. Over the course of generations, that will exert great influence over the nature of the human experience. Here’s a question: At last Saturday’s massive rally against “hate” in Boston, what were 30,000 or so people actually protesting? The event in question was not organized by a neo-Nazi group, the KKK, or any other recognized hate group, but by an outfit called the Boston Free Speech Coalition. Its Facebook page claims they are “a coalition of libertarians, progressives, conservatives, and independents” aiming to “peaceably engage in open dialogue about the threats to, and importance of, free speech and civil liberties.” In the days before, the organizer, 23-year-old John Medlar, had insisted that “contrary to a lot of the rumors out there, the purpose of the rally is to denounce the kind of political violence that we have seen, a sort of rising tide throughout the country and particularly most recently in Charlottesville.” He said his group is small and young. At 23, he says he is the oldest. If you want to check him out some more, here’s an interview he gave to the radio station WGBH: “I describe myself as a Libertarian, so I’m very much a small government guy. I think that it’s … I’ve also had a very Catholic upbringing, so my parents raised me to put a very strongly … emphasis on personal responsibility and virtues. And I think that you can’t have virtue when, you know, the government is compelling you to do things. I think society is better off when individuals take it upon themselves to build themselves up and to be the best possible people that they can be rather than, you know, that and shirking those responsibilities and leaving it to government bureaucrats who are less efficient at everything.” Not exactly elegant, but you get the drift. Wisconsin hopes to mirror Massachusetts’ test success for teaching reading, by Alan Borsuk. More from the Wisconsin Reading Coalition. Madison School Board President James Howard’s remarks prior to the recent Montessori “charter” school contract vote (which failed 3-4). 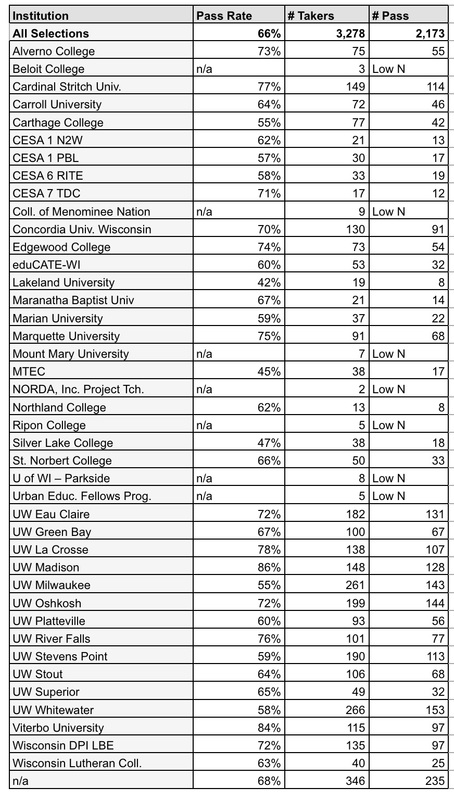 Madison lacks K-12 governance diversity. A majority of the Madison School Board rejected the proposed Preporatory Academy IB Charter School. 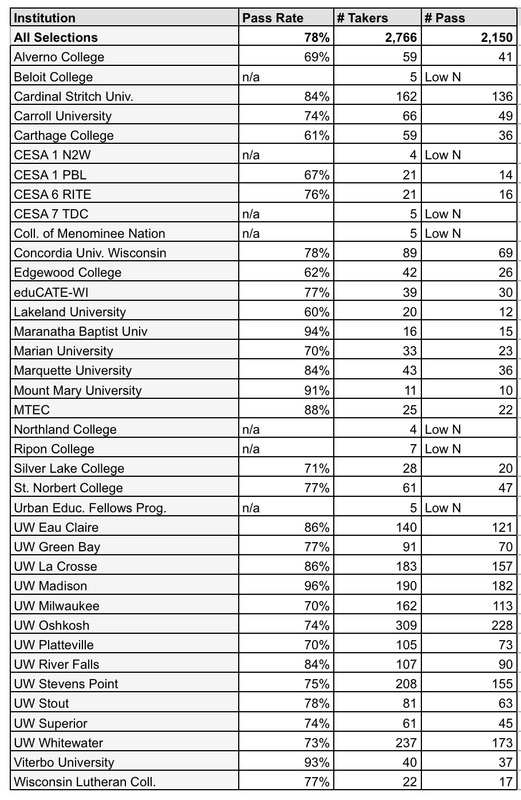 Madison spends more than most, now nearly $20,000 per student, while tolerating long term, disastrous reading results. The city’s leading charter school operator is back on the offensive, barely a week after she made two humbling apologies — one for ties to the Trump administration, the other for comments by her board chairman. Eva Moskowitz gathered reporters Thursday to crow about the performance of her students in the most recent round of statewide testing — and berate Mayor de Blasio for celebrating a more modest uptick in public school scores. “What is going on in a city that is spending $31 billion a year and accepting massive failure?” said Moskowitz, the founder and CEO of the Success Academy charter schools..
“I’m outraged by the educational racisim engendered by the system. I’m also frustrated by the Mayor’s response, and I know the journalists it the room are gonna think it’s personal. It’s not personal. The mayor’s a good man, it’s hard to run the city of New York, but his reaction to the scores is not appropriate,” she said. Scores out Tuesday show that 95 percent of students of color at her Success Academy schools passed the math exam, compared to 24 percent in city public schools. And 83 percent of students of color at Success passed the English test; only 29 percent in public schools did. 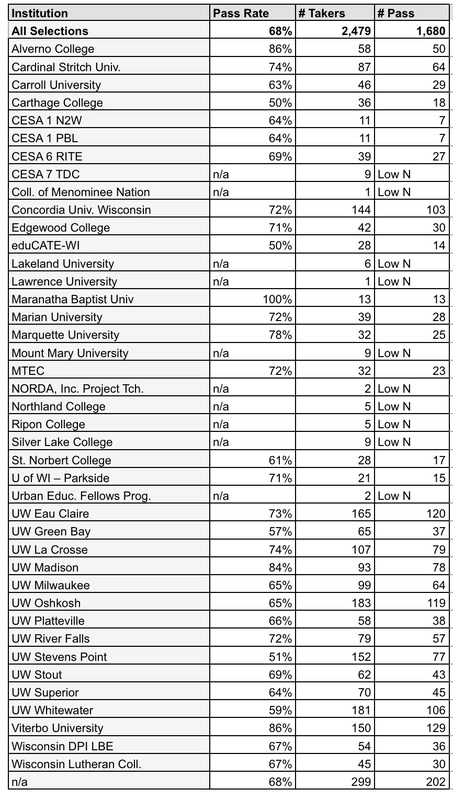 Locally, Madison lacks K-12 Governance Diversity. As school choice grows in America’s cities, more district leaders are adopting a portfolio approach, giving schools greater autonomy and families more choices while still ensuring accountability. However, some community advocates are concerned that the new school options are not diverse enough to meet students’ needs. For instance, are the pressures of implementing accountability measures forcing districts to offer just two types of schools: traditional public schools and “no excuses” college-prep charter schools? Given these concerns, and the importance of providing distinct options for an effective choice system, CRPE researchers analyzed school offerings in Denver, New Orleans, and Washington, D.C., to see just how diverse or homogenous the cities’ portfolios really are. Japan’s aging and shrinking population has been partly blamed for the on-again, off-again nature of growth and deflation the past three decades. Lately, it’s been driving a different and just as powerful idea: In the absence of large-scale immigration, the only viable solution for many domestic industries is to plow money into robots and information technology more generally. Humans will still be needed, of course, and that’s behind a separate by-product of Japan’s demographic challenges that I wrote about during a visit there last month. With unemployment down to 2.8 percent, companies are increasingly realizing they need to pay up to attract and keep qualified personnel. The other option — increased immigration — is politically difficult. As students have been celebrating their exam results, pundits from across the political spectrum have been commiserating the state of British universities. Andrew Adonis, an education minister during the Blair years, has excoriated universities for offering costly courses while jacking up the pay of their senior leaders. Nick Timothy, Theresa May’s ex-advisor, thinks UK universities are an unsustainable “Ponzi scheme”. The universities minister, Jo Johnson, has written about the need to put further pressure on seats of higher learning so students get good value for money. Behind the political point-scoring are more serious issues. The university sector has been growing for decades, but now that growth is going into reverse. The number of undergraduates applying to universities has fallen by 4% this year. Although close to 50% of the population goes through higher education, only about 20% of jobs require an undergraduate degree. One US study found that 46% of students showed no improvement in their cognitive skills during their time at university. In some courses, like business administration, students’ capacity to think got worse for the first few years. And after they graduated, many struggled to find full-time work while being loaded down with debt. Nearly a quarter of graduates were living with their parents or relatives. On top of all this, UK universities have some significant financial difficulties. The university pension scheme is £17.5bn in the red. Senior managers have been on a building spree that has been almost entirely funded by new borrowing on the bond market. Many institutions are locked into costly private finance initiatives. Some of the local bitterness and acrimony over the Katy Independent School District’s new 12,000-seat, $70.3 million Legacy Stadium should subside now that it’s finally ready for “Friday Night Lights” football, Katy ISD Superintendent Lance Hindt said shortly before the official dedication. In 2013, Katy voters rejected a more expensive price tag for the stadium but in 2014 approved a bond that included a $58 million version. However, infrastructure improvements meant another $12 million added to the final cost. But all that’s now in the past, Hindt said, standing on the green field between the home team and visiting team side. He said 54,000 people voted on the 2014 bond with about 30,000 voting in favor. “But they all support the Katy ISD and the kids of Katy ISD,” Hindt said. Legacy Stadium will be more than merely a place for football, Hindt said. Unlike Rhodes Stadium, the bands won’t be forced to crowd together at the end zone during game play as they wait for their halftime shows. They’ll have their own space just behind the scoreboard to get ready. Katy spent about $15,000 per student during the 2016 fiscal year, roughly 33% less than Madison plans to spend during 2017-2018. Most teachers these days last no more than five to 10 years in the classroom, but Paul Miller taught math for nearly 80. At one point, he was considered the “oldest active accredited teacher” in the U.S.
“I had to teach her how to write her name and the address of her house,” he says. This summer, I once again returned to my alma mater, Shanghai’s East China Normal University (ECNU), to take advantage of a new preferential policy directed at “free admission” students — those whose tuition fees have been waived in return for a pledge to teach for a set period after graduation. After completing our degrees, we free admission students can also return to our former universities during the summers and take master’s-level classes for free. Returning to my old stomping grounds is a wonderful feeling. At ECNU, we can engage with some of the most progressive education in the country. However, the person I am now is very different from the person who left a few years ago to work at Lhasa High School in the beating heart of Tibet. Sometimes I wonder whether the didactic theory I’ve learned at ECNU will ever take root in Tibet. This past year of teaching in Lhasa seems to have passed in the blink of an eye. The best thing about the experience was that even though I was starting as a new teacher in my first post, I was still able to experiment with different styles of teaching, thanks to the liberal teaching culture at Lhasa High. Mathematica just published a study on KIPP pre-k. The Laura and John Arnold Foundation (where I work) funded the study. The study was well designed and asked a very important question: does high-quality charter pre-k provide benefits above and beyond simply attending a high-quality charter elementary school? The policy implications of this question are important: if high-quality charter pre-k adds to the achievement of students who attend high-performing elementary charter schools, policies that support both early child funding and charter school growth could accelerate achievement gains. However, if attending a high-quality charter pre-k has no effect beyond the impact of simply attending a high-quality charter elementary school, then our limited public resources may be best spent on expanding high-quality charter elementary schools and not devoting as much resources to pre-k.
I’m guessing there are a lot of parents of black students in Madison who would be happy to have greater access to a Madison public school that works well for their children, rather than wait for the “best” to maybe come along some day. Instead, while Madison has made closing the racial achievement gap a priority for decades, enthusiasm has waned in recent years for alternatives to Madison’s traditional — and for black children, failing — approach to education. Notes and links on the Montessori charter proposal. A majority of the Madison School Board rejected the proposed Preparatory Academy IB Charter School. A young college student was working hard in an upper-level math course, for fear that he would be unable to pass. On the night before the final, he studied so long that he overslept the morning of the test. When he ran into the classroom several minutes late, he found three equations written on the blackboard. The first two went rather easily, but the third one seemed impossible. He worked frantically on it until — just ten minutes short of the deadline — he found a method that worked, and he finished the problems just as time was called. The student turned in his test paper and left. That evening he received a phone call from his professor. “Do you realize what you did on the test today?” he shouted at the student. “Oh, no,” thought the student. I must not have gotten the problems right after all. And this particular version is all the more interesting for being based on a real-life incident! But the most powerful argument for free speech is not one of legal constraint — that we’re required to allow it — but of value. The public expression of many sharply divergent points of view is fundamental both to our democracy and to our mission as a university. The philosophical justification underlying free speech, most powerfully articulated by John Stuart Mill in his book, On Liberty, rests on two basic assumptions. The first is that truth is of such power that it will always ultimately prevail; any abridgement of argument therefore compromises the opportunity of exchanging error for truth. The second is an extreme skepticism about the right of any authority to determine which opinions are noxious or abhorrent. Once you embark on the path to censorship, you make your own speech vulnerable to it. . . . He is, quite simply, the tiniest of warriors. Santos Escobar, a beautiful and engaging little boy who has yet to even reach his second birthday, recently underwent surgery at El Paso Children’s Hospital — a surgery to a skull that was fused, a skull that would not grow as the brain grew on the inside. It is a one-in-a-million case, the doctor said. One requiring a four-hour surgery that was the first of its kind in El Paso. Santos was born with pansynostosis, a rare condition in which the bones in his skull had fused together, keeping it from expanding to accommodate his growing brain. The condition left Santos without the ability to walk or really even talk. And, without this surgery and a smaller procedure in April, he would never have danced, never have had that life to enjoy. The prognosis for the beautiful little boy was simple and grim without the surgery. Media literacy is a subject many schools have long incorporated into the curriculum. Yet with the explosion of online information, teaching media literacy “is vastly more challenging now,” said Amy Guggenheim, the president of Common Sense Media, a research and advocacy organization whose mission is to help kids thrive in a media- and technology-centric world. Fifty-nine is a small, perhaps statistically probable two-year tally for programs attended by 70,000 children. But as with many other records the public has a right to see, the city has refused for more than a year to provide the case reports, leaving to the imagination whether they involve fraud and poor supervision or more disturbing acts of abuse involving 4-year-olds. In fact, the Department of Education doesn’t appear to have released hundreds of teacher misconduct reports in all grades, a reflection of its reluctance to share records at all, attorneys, advocates, and reporters say. They complain that the agency delays responding to requests for months or even years, earning a reputation as perhaps the city’s least transparent agency and flouting deadlines for providing records set out in New York’s Freedom of Information Law. You can answer many seemingly difficult questions quickly. But you are not very impressed by what can look like magic, because you know the trick. The trick is that your brain can quickly decide if a question is answerable by one of a few powerful general purpose “machines” (e.g., continuity arguments, the correspondences between geometric and algebraic objects, linear algebra, ways to reduce the infinite to the finite through various forms of compactness) combined with specific facts you have learned about your area. The number of fundamental ideas and techniques that people use to solve problems is, perhaps surprisingly, pretty small — see http://www.tricki.org/tricki/map for a partial list, maintained by Timothy Gowers. You are often confident that something is true long before you have an airtight proof for it (this happens especially often in geometry). 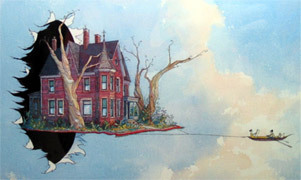 The main reason is that you have a large catalogue of connections between concepts, and you can quickly intuit that if X were to be false, that would create tensions with other things you know to be true, so you are inclined to believe X is probably true to maintain the harmony of the conceptual space. It’s not so much that you can imagine the situation perfectly, but you can quickly imagine many other things that are logically connected to it. Why aren’t there more female software developers in Silicon Valley? James Damore, the Google engineer fired for criticizing the company’s diversity program, believes that it’s all about “innate dispositional differences” that leave women trailing men. Who wrote the first bit of computer code? That honor arguably belongs to Ada Lovelace, the controversial daughter of the poet Lord Byron. When the English mathematician Charles Babbage designed a forerunner of the modern computer that he dubbed an “Analytical Engine,” Lovelace recognized that the all-powerful machine could do more than calculate; it could be programmed to run a self-contained series of actions, with the results of each step determining the next step. Her notes on this are widely considered to be the first computer program. You’re involved in something hugely important. Particularly to all who are going to be teaching this year, the factors that make it hard and often frustrating work are often linked closely to the factors that make it so valuable. For those teaching low-income and/or minority kids, the chances are so high that a good future for any one of them is connected to the great work teachers will do for that student along the way. For those of us who don’t go to school every day, our support and appreciation for the work being done within all those walls are valuable. As a whole, we fall short on this so often. It’s a new school year. In a way that is broad but can also be deep, it’s a fresh time to support educational success for all kids. This guide is intended to inform commentators, educators, policymakers, and others who seek appropriate words for describing the accuracy and relevance of media content. Media historian and theorist Caroline Jack traces the specific origins and applications of several forms of problematic information, unpacking lazy usage habits and uncovering buried cultural origins. You could forgive mathematicians for being drawn to the monster group, an algebraic object so enormous and mysterious that it took them nearly a decade to prove it exists. Now, 30 years later, string theorists — physicists studying how all fundamental forces and particles might be explained by tiny strings vibrating in hidden dimensions — are looking to connect the monster to their physical questions. What is it about this collection of more than 1053 elements that excites both mathematicians and physicists? The study of algebraic groups like the monster helps make sense of the mathematical structures of symmetries, and hidden symmetries offer clues for building new physical theories. Group theory in many ways epitomizes mathematical abstraction, yet it underlies some of our most familiar mathematical experiences. Let’s explore the basics of symmetries and the algebra that illuminates their structure. We are fond of saying things are symmetric, but what does that really mean? Intuitively we have a sense of symmetry as a kind of mirroring. Suppose we draw a vertical line through the middle of a square. The Madison School Board’s narrow rejection of a proposed five-year contract for a public Montessori charter school on Monday isn’t deterring supporters and may not represent the end of the process around the proposal. Ali Muldrow, described in the proposed contract as one of the school’s seven founders, said Tuesday she isn’t giving up on the fight to see Isthmus Montessori Academy (IMA), a private school since 2012 on Madison’s North Side, become a public school known as Isthmus Montessori Academy Charter School (IMACS) for grades 4K-9. “We’re absolutely going to keep trying,” said Muldrow, a former School Board candidate who lost to Kate Toews in the April election. Toews voted against the charter school contract in Monday’s 4-3 vote, along with Anna Moffit, TJ Mertz and fellow board newcomer Nicki Vander Meulen. Collins instituted a new system of administering punish­ment. Whereas Farmer had dealt with boys as they presented their “notes”, Collins told boys to meet him outside his office after supper. The idea was to beat them all in one go. His office was small, so he made boys kneel outside, in a row, with their heads touching the floor and backsides in the air. The line would frequently include a dozen or more boys and would extend into the well of a playroom so that others, sitting on lockers and supposedly engaged in silent reading, had a clear view of the ritual. I was sometimes one of the kneeling boys, looking left under the tunnel of arched bodies, listening as the thwacks and the whimpering drew ever closer. Being beaten was unenviable, but it was short and sharp. Watching the perfor­mance, however, left a long-lasting impression. Collins’ “rules” could be whimsical. I copped it once for jumping down a couple of steps instead of walking down them. A friend was beaten for coming in from the rain with wet shoes. Collins would sometimes be so enraged he would hit us on the spot. A favoured method was to grab a boy by the leg of his short pants with one hand, lift it, and strike his exposed thigh with the other. Despite making big strides with its lowest-performing campuses, Dallas ISD still has a massive task for the upcoming school year: If four campuses don’t do better, the state will either shut them down or take over the whole district. “The statute provides no discretion,” wrote Texas education commissioner and former DISD trustee Mike Morath, in a letter sent last week to Superintendent Michael Hinojosa and school board President Dan Micciche. The four long-struggling schools must perform better on state assessments and shake off the “improvement required” label for the upcoming school year or the state will be required to act. Three DISD schools have been on the state’s failing list for five years — Carr and Titche elementary schools and Edison Middle Learning Center — and one elementary campus has missed marks for four years: J.W. Ray Learning Center. “If one out of 230 schools, one of those four doesn’t make it, our whole conversation changes,” Hinojosa told trustees during last Friday’s board meeting. At the time OU received the gift in 1976, the mineral rights generated about $30,000 a year. According to the foundation’s records, the attorney who handled the estate expected their value to decline as wells were depleted and sealed. Yet the Mosiers’ mineral rights—which are spread all over Oklahoma, including the patch of land in Kingfisher County pictured below and elsewhere in the so-called Scoop and Stack plays—are located in the third-most active area in the U.S. for oil and gas development and acquisition. As hydraulic fracturing unlocked oil and gas reserves, the donation spun more money for OU. Last year the Mosier mineral rights generated $763,000 in cash flow. In 2014, with a lease bonus, they produced $2.35 million. “Both track and pharmacy have benefited tremendously from the Mosiers’ largesse—and in a way that Henry and Ida could have never imagined,” says Guy Patton, chief executive officer of the University of Oklahoma Foundation, which oversees investments for OU’s $1.1 billion endowment. The donation helps pay tuition for about a third of the school’s pharmacy students and provides the equivalent of full tuition for about 20 members of the 100-strong track team. It’s also funded new buildings including an indoor track facility. Research in evolutionary psychology, and life history theory in particular, has yielded important insights into the de- velopmental processes that underpin variation in growth, psychological functioning, and behavioral outcomes across individuals. Yet, there are methodological concerns that limit the ability to draw causal inferences about human de- velopment and psychological functioning within a life history framework. The current study used a simulation-based modeling approach to estimate the degree of genetic confounding in tests of a well-researched life history hypoth- esis: that father absence (X) is associated with earlier age at menarche (Y). The results demonstrate that the genetic correlation between X and Y can confound the phenotypic association between the two variables, even if the genetic correlation is small—suggesting that failure to control for the genetic correlation between X and Y could produce a spurious phenotypic correlation. We discuss the implications of these results for research on human life history, and highlight the utility of incorporating genetically sensitive tests into future life history research. For years, Richard Florida preached the gospel of the creative class. His new book is a mea culpa. Geographer David Harvey has argued that the biggest shift in urban economies over the last forty years has been the move from managerialism to entrepreneurialism. City governments that once provided services for their residents in the form of welfare and infrastructure now market themselves to global pools of capital, tourists, and educated workforces. The notion that creativity could solve these urban problems — either from above, with monumental art galleries, or from below, with bearded clusters of hipsters, is a symptom of this profound transformation. Richard Florida was right when he said that the “creative economy” is the new way of the world. But its development didn’t happen how he imagined. Rather than launching humanity into a new phase of prosperity, the new economy simply holds the different elements of late capitalism together — making it palatable for some but deepening its crises and contradictions for others. The Jagiellonian University will demand the withdrawal of a patent application filed by Google in the US on a solution, developed by Dr. Jaroslaw Duda, an employee and lecturer of the university, told PAP the University’s spokesman Adrian Ochalik. On Friday, the private Radio ZET broadcaster reported about the issue, involving a patent application on Asymmetrical Numeral Systems coding (ANS), which allows data compression in computers and other electronic devices. Currently it is used by Apple, Facebook and Google. iPhones and Macintosh computers use ANS to register data. Several years ago, Duda, a lecturer at the Faculty of Mathematics and Computer Science at Jagiellonian University in Cracow, posted his method on the Internet. “I’m a scientist. I didn’t patent this method as I believe such concepts should be complimentary and accessible to everyone”, Dr. Duda told PAP. Duda added that since 2014 he had been communicating with Google via e-mail and a public forum – and helping the IT giant to adapt the ANS method for video file compression. “The patent application, filed in the USA, contains exactly the same concepts I wrote for Google. (…) I never meant anyone – including Google – to limit access to this solution by patenting it”, underlined Dr. Duda. “I intend to file an objection with the US Patent and Trademark Office”, he said. This data set is generated by linking two large academic graphs: Microsoft Academic Graph (MAG) and AMiner. The data set is used for research purpose only. This version includes 166,192,182 papers from MAG and 154,771,162 papers from AMiner. We generated 64,639,608 linking (matching) relations between the two graphs. In the future, more linking results, like authors, will be published. It can be used as a unified large academic graph for studying citation network, paper content, and others, and can be also used to study integration of multiple academic graphs. But Cheatham urged the board not to see it as an us-vs-them proposition, noting the charter school and its students would be fully part of the district if the contract was approved. The district also should “honor and value” grass-roots proposals that come from the community, she said, especially one like this promising to help the district address its achievement gaps for students of color. Burke noted the projected cost per student would be around $9,000, which would rank it on the low side for elementary schools in the district, and Howard made an impassioned plea to his fellow board members to approve the contract to explore whether doing things differently results in better outcomes for minority students. “We owe it to our community of color here in Madison to give this a shot, to learn from it,” Burke agreed. The future implications of a couple of companies’ having such deep influence on our attention and our behavior are only beginning to be felt. The rise of artificial intelligence combined with Google’s omnipresence in our lives is an issue that is not well understood by politicians or regulators. Tenure systems don’t always mesh well with potential professors’ child-bearing plans. Let’s say a person starts graduate school at age 26, finishes at 32, and then faces a six- or seven-year tenure clock. That intense period of study, and the resulting race to publish, comes exactly during prime child-bearing years. And many individuals start along this track at later ages yet. I fear that this rigidly structured system, where candidates are go “up or out,” discourages many talented women from pursuing academic careers. Yet this path is the norm at virtually all top or mid-tier research universities, as well as at most highly rated liberal arts colleges. I don’t think there is a single correct way to restructure all tenure systems, but we could start with more experimentation, as would befit the decentralized system of U.S. higher education. Imagine a greater variety of academic jobs, in areas that are not always valued highly by peer review. They might include jobs devoted to producing policy work, to teaching, to producing materials for online education, and to bringing the lessons of academia to broader audiences, such as through blogs and opinion columns. Furthermore, “up or out” provisions could be weakened, so if an individual didn’t succeed on a research track, but excelled in other areas, employment could be continued with different achievement criteria. I don’t think I’m alone in saying that Paul Graham used to be one of my heroes. My memories of my first steps into the world of software development are no longer crisp. The texture of it, the day-to-day, the mechanisms by which my skills solidified —that’s all faded. Mostly what I remember is the people I looked up to, people whose writing shaped my understanding of software culture and served as rose-tinted windows into a culture I wanted so desperately to be a part of. Some of my favourites: Eric S. Raymond’s The Cathedral and the Bazaar; Neal Stephenson’s In The Beginning was the Command Line; Lawrence Lessig’s Free Culture; Jeff Atwood’s Coding Horror blog. Most of all, Paul Graham’s essays, because he had managed to translate software competency into real-world success. I remember two Paul Graham essays that particularly resonated with me — Hackers and Painters, and Why Nerds Are Unpopular. They were the gateway to a more vibrant and meaningful world that I, trapped in a high school I hated and feeling alienated from my peers, could only dream of. They appealed to me on a level that I can’t really put into words and frankly feel embarrassed thinking about, even now. Here was this brilliant and successful person telling me that I was special, and that immersing myself in this fledgling community would be my ticket to success. A community whose figurative leaders included Paul Graham. How could I not have looked up to him? Today state legislators all over the country are deciding how to comply with ESSA. When the last deadline for submitting proposals arrives this September, we may see a crop of promising plans for the future of K-12 education. Yet in Wisconsin, the planning process has been so flawed that Sen. Alexander’s vision of “innovation” and “ingenuity” seems like a pipe dream. Wisconsin’s woes have little to do with ESSA itself, which largely delivers on the promise of greater flexibility. To receive funding from Washington, states must submit plans that comply with Titles I through IX of the federal education code. The requirements for these plans are basic: States must maintain a statewide report-card system for public schools, establish methods to measure teacher effectiveness, set policies to reform low-performing schools, and so forth. Each plan must be granted final approval by the Education Department. The Badger State ought to be taking full advantage of the freedom ESSA provides to enact bold education reform. After all, Wisconsin already has a broad range of educational options, including successful voucher programs and charter schools. Gov. Scott Walker and the GOP-controlled Legislature have established a strong record on education. The problem is that Wisconsin’s plan for complying with ESSA has fallen to the state’s education agency, the Department of Public Instruction. Its leader, Superintendent of Public Instruction Tony Evers, is a notorious opponent of education reform. Mr. Evers’s greatest hits include calling the expansion of school vouchers “morally wrong” and routinely criticizing Gov. Walker’s Act 10 reforms of public-employee unions. It’s worth noting that in opposing the governor, Mr. Evers may have more than the students’ interest in mind. He recently filed paperwork to enter Wisconsin’s 2018 gubernatorial race, hoping to upset Mr. Walker’s shot at a third term. So far, the department has cleverly worked to avoid any oversight of its ESSA plan by the legislature. To create the illusion of accountability, Mr. Evers formed the Equity in ESSA Council, an advisory board made up of legislators, school administrators, union leaders and education reformers. In truth, however, the council has no power to set the agenda or control the provisions of the state’s ESSA proposal. 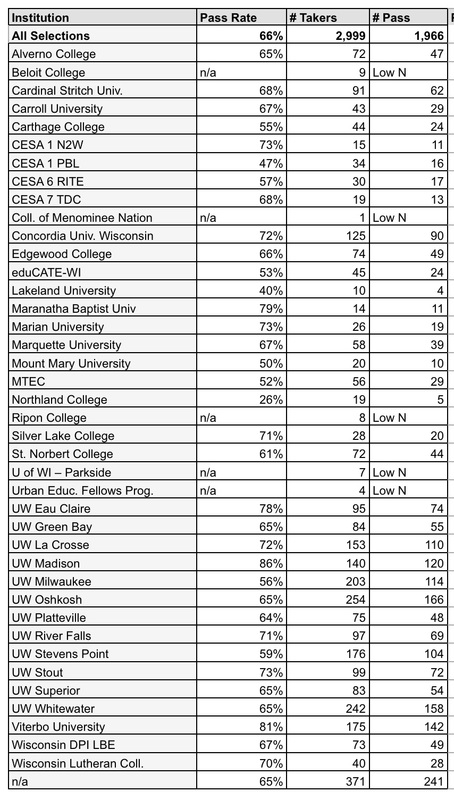 Madison spends far more than most, now nearly $20,000 per student. Australian researchers have made a breakthrough in the treatment of peanut allergy in children. A small clinical trial conducted at the Murdoch Children’s Research Institute has led to two-thirds of children treated with an experimental immunotherapy treatment being cured of their allergy. Importantly, this desensitisation to peanuts persisted for up to four years after treatment. It’s thought that combining the probiotic with the immunotherapy gives the immune system the “nudge” it needs to do this, according to Tang. The worst example of this in recent memory was Have Smartphones Destroyed a Generation?, a particularly panicky Atlantic cover story by psychology professor, corporate consultant, and onetime millennial-whisperer Jean M. Twenge. The Atlantic has a particular affinity for this kind of trendy worrying dressed up as somber big-think — remember Is Google Making Us Stupid? — and Twenge delivered it in droves here, arguing that the time today’s teens spend alone with smartphones is poisoning them forever. Her first major foray into millennial thinkery was her 2006 book Generation Me: Why Today’s Young Americans Are More Confident, Assertive, Entitled—And More Miserable Than Ever Before. Twenge expanded on the theme in 2009 with The Narcissism Epidemic: Living in the Age of Entitlement. These books pandered to the same complaints old people have been making about young people since time immemorial, with just enough techno-scare to make them seem fresh and relevant. And they established Twenge as a go-to quote factory for cranky think-pieces on millennials, ushering in a new wave of hand wringing over our supposed shortcomings. Today, the open office layout is back with a vengeance. In a 2013 survey by CoreNet Global, an association for corporate real estate managers, more than 80% of respondents said their company had moved toward an open space floor plan. And once again, the backlash has begun. In the last five years, a slew of articles with alarmist titles like “Death To The Open Office Floor Plan!” and “Open-plan offices were devised by Satan in the deepest caverns of hell” have assailed the supposedly progressive design. So what exactly is wrong with the modern open office layout and how can we create spaces that fulfill the promise of a happy and collaborative workplace? By design, colleagues are more accessible in an open office layout. The minute a question pops into your head, you can easily hop over to a co-worker’s desk, or simply swivel your chair to face them. Unfortunately, these well-intentioned intrusions can lead to real problems. First among those is reduced productivity. According to a study on the cost of interrupted work, a typical office worker is interrupted every 11 minutes. Even worse, people often take up to 25 minutes to refocus on the original task. And without physical barriers to block it out, noise may be the number one problem with open office plans. Together, loud phone talkers, gossipy co-workers, and that guy chomping on an apple every afternoon can frazzle your auditory system. Researchers have found that the loss of productivity due to noise distraction doubles in open office layouts compared to private offices, and open office noise reduces the ability to recall information, and even to do basic arithmetic. As anyone who’s had to call their doctor from their desk knows, one of the worst parts of open office layouts is that you can’t control who you hear—or who hears you. In a 2013 study about the privacy-communication trade-off in open offices, 60% of cubicle workers and half of all employees in partitionless offices said the lack of sound privacy was a significant problem. On top of its book sales, film adaptation and third life as an opera, The Bonfire of the Vanities achieved a rare feat. It turned its author into a 56-year-old enfant terrible. Thirty years have passed since Tom Wolfe’s first novel imagined New York City as an opulent failed state, where millionaires are one wrong turn from barbarian mobs and race card-players on the make. Critics recognised the virtuosity of the prose but also, in the stereotypes and the gleeful trampling on taboos, an illiberal malice. America’s cognoscenti has since treated Wolfe as somehow below stairs: a shock jock with a poet’s command of the language. State schools superintendent Tony Evers will formally announce his gubernatorial run Wednesday, making him the third Democrat to commit to a bid and the first statewide office holder to challenge GOP Gov Scott Walker. The Evers campaign had no comment except to note that Pertl is a volunteer. The apps come with the assurance of making schools operate more efficiently. But such management technologies don’t simply reflect Taylorism, schoolwork monitored and fine-tuned; they are part of a resurgence of behaviorism in education, and in education technology in particular. In Ivy League institutions, behaviorism took hold way before the smartphone. Harvard University psychologist B.F. Skinner claimed that he came up with the idea for his “teaching machine” in 1953 while visiting his daughter’s fourth grade class. Skinner believed that all learning was a matter of shaping behaviors and he contended that, much like the animals he trained in his lab, students should be taught through a system of rewards and reinforcement. Machines, he considered, could do this much more reliably than teachers. This machine, Skinner argued, would address a number of flaws in the education system: it would enable students to move at their own pace through lessons and, on top of this, students would receive immediate feedback on their work. Power wasn’t transmitted through a single, massive spinning drive shaft but through wires.